We were college students once, and we know that expenses can quickly add up. We want to help make things a little easier for you. All students who can provide a valid .edu email address or a copy of your current transcript can take advantage of specialty discounts. Please contact our team here and a sales associate will follow up with you. We value your hard work and know that donation dollars need to stretch as far as possible. To show our respect and support for your cause, we are happy to provide specialty discounts towards your directory websites. Please contact our team here and a sales associate will follow up with you. Please have your valid nonprofit tax forms ready. Heroes deserve our support more than anyone — we salute our veterans and active duty military personnel. 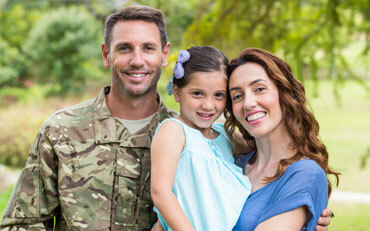 We recognize the importance of the sacrifices our service members have made, so to show our appreciation for your service, we at Brilliant Directories are happy to offer military discounts. Please contact our team here with a copy of your military ID and a sales associate will follow up with your submission. Thank you for your service. If you feel that you qualify for special interest discounts, feel free to reach out to our pre-sales team at 1-800-771-9332 to inquire about any ongoing promotions.